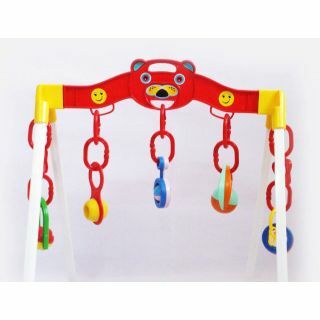 Your baby will enjoy play activities with Activity Play Gym. A Play gym that engages the baby. Strengthens fine motor skills with busy activities. Super Lightweight, can be put anywhere easily where the baby is lying or playing. Please note that hanging toys may not be the same as shown in the picture.